Vinca vine is both an annual and a tender perennial often seen in hanging baskets, spilling over the edge to give dimension and dramatic effect. It can also be a ground cover as it trails and roots along the ground wherever the vine touches the soil. It spreads at a medium pace once established and needs moderate watering. 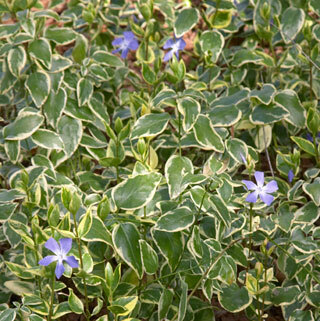 Regular fertilizing is necessary to keep the plant’s variegated leaf colors, but otherwise this is a low-care plant. 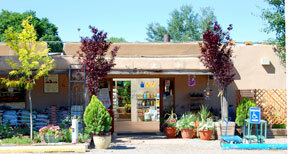 It can be drought tolerant once established and it’s deer resistant.